Don't Miss This Amazing Deal On This Capable SUV Featuring Bluetooth, Heated Seat's, And Touch Screen Stereo. Call, Click, Or Stop By Birchwood Ford Today! 2018 Mitsubishi RVR. SE Package. 4 Wheel Drive. 2.0 Liter 4 Cylinder Engine. Automatic Transmission. Heated Front Seat's. Voice Activated Bluetooth System. Large Display Touch Screen Infotainment Center. Rear Back Up Camera With Large Display. Remote Keyless Entry With 2 Set's Of Keys. Birchwood Certified Pre Owned Inspection. And So Much More! Why buy from Birchwood Ford? Not only do we offer Market Value Pricing, but we have all of these added services and "extras:" - Provincial Safety Inspection - 172-point Inspection - Frame Inspection - Mechanical and Cosmetic Reconditioning - Lien Search - Vehicle History Report - Accident/Damage Report - Stole Vehicle Report - Available Extended Warranties - Relaxed "Low Pressure" Sales Experience - Free Trade-In Appraisals - Finance Pre-Approval Service - Free Credit Report Review and Counseling - On-Site Service Department - Available Vehicle Protection Products - Available Loan Protection Products - Chartered Bank Financing - Special Financing - Fresh Start Credit Recovery Program - Member of the Better Business Bureau - Member of the Used Car Dealers Association - Pet Friendly Facility Financing available with 100% guaranteed approval As additional value, the ESSENTIAL VEHICLE PROTECTION PACKAGE is available for purchase with all pre-owned vehicles, which includes: 3 Years- Roadside Assistance 3 Years – Key Replacement 3 Years- Tire Road Hazard Warranty 3 Years- Rim Hazard Warranty 3 Years- FREE Annual Tire Rotations 5 Years- Theft Protection with $5,000 Guarantee NO Trade-In Required! NO Money Down Needed! Call us at 204-296-8868 or go to WWW.BIRCHWOODFORD.CA to browse our inventory! Accident Free, Sync Connect With Bluetooth. Leather. Twin Panel Moon Roof. 7 Passenger Seating. And Reverse Sensing With Camera. Call, Click, Or Stop By Birchwood Ford Today! 2018 Ford Explorer. XLT package. 4 Wheel Drive. 3.5 Liter V6 Engine. 6 Speed Automatic Transmission. Leather 7 Passenger Seating. Heated Front Seat's. Twin Panel Moon Roof. Sync 3 With Sync Connect. Dual Zone Climate Control With Auto Temp Control. Reverse camera And Sensing System. And So Much More ! Why buy from Birchwood Ford? Not only do we offer Market Value Pricing, but we have all of these added services and "extras:" - Provincial Safety Inspection - 172-point Inspection - Frame Inspection - Mechanical and Cosmetic Reconditioning - Lien Search - Vehicle History Report - Accident/Damage Report - Stole Vehicle Report - Available Extended Warranties - Relaxed "Low Pressure" Sales Experience - Free Trade-In Appraisals - Finance Pre-Approval Service - Free Credit Report Review and Counseling - On-Site Service Department - Available Vehicle Protection Products - Available Loan Protection Products - Chartered Bank Financing - Special Financing - Fresh Start Credit Recovery Program - Member of the Better Business Bureau - Member of the Used Car Dealers Association - Pet Friendly Facility Financing available with 100% guaranteed approval As additional value, the ESSENTIAL VEHICLE PROTECTION PACKAGE is available for purchase with all pre-owned vehicles, which includes: 3 Years- Roadside Assistance 3 Years – Key Replacement 3 Years- Tire Road Hazard Warranty 3 Years- Rim Hazard Warranty 3 Years- FREE Annual Tire Rotations 5 Years- Theft Protection with $5,000 Guarantee NO Trade-In Required! NO Money Down Needed! Call us at 204-296-8868 or go to WWW.BIRCHWOODFORD.CA to browse our inventory! Accident Free, GPS Navigation with 6.5 Screen, Remote Starter, Loaded with a 24G Customer Preferred Package! This Awesome Jeep Wrangler JK Unlimited 4X4 HAS IT ALL with a Removeable Black Jeep Freedom HARD Top, 3.6L VVT V6 Engine with Engine oil cooler, 5-Speed Automatic Transmission, Hill Descent Control, Traction Control, Transfer case & Fuel tank skid plates, Tubular Side Steps, Cruise Control, Air Conditioning, Power Windows, Mirrors & Locks, 18 Wheels, Fog Lamps, Automatic Headlamps, +++ Why buy from Birchwood Ford? Not only do we offer Market Value Pricing, but we have all of these added services and "extras:" - Provincial Safety Inspection - 172-point Inspection - Frame Inspection - Mechanical and Cosmetic Reconditioning - Lien Search - Vehicle History Report - Accident/Damage Report - Stole Vehicle Report - Available Extended Warranties - Relaxed "Low Pressure" Sales Experience - Free Trade-In Appraisals - Finance Pre-Approval Service - Free Credit Report Review and Counseling - On-Site Service Department - Available Vehicle Protection Products - Available Loan Protection Products - Chartered Bank Financing - Special Financing - Fresh Start Credit Recovery Program - Member of the Better Business Bureau - Member of the Used Car Dealers Association - Pet Friendly Facility Financing available with 100% guaranteed approval As additional value, the ESSENTIAL VEHICLE PROTECTION PACKAGE is available for purchase with all pre-owned vehicles, which includes: 3 Years- Roadside Assistance 3 Years – Key Replacement 3 Years- Tire Road Hazard Warranty 3 Years- Rim Hazard Warranty 3 Years- FREE Annual Tire Rotations 5 Years- Theft Protection with $5,000 Guarantee NO Trade-In Required! NO Money Down Needed! Call us at 204-296-8868 or go to WWW.BIRCHWOODFORD.CA to browse our inventory! Why Birchwood KIA West? Our associates are paid the same regardless of a car’s price, so we are here to help you find your perfect car. It’s that simple. No commission = less worry and stress for you Your Experience is Everything No trade turned away! Fresh trade in, In Excellent Condition With No Accidents Or Claims And Locally Owned. Only One Previous Owner, Free Carproof Available. Book your test drive today ! 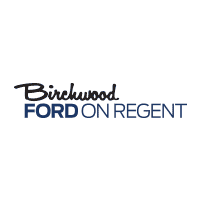 VISIT BIRCHWOOD FORD ON REGENT TO TAKE ADVANTAGE OF OUR RURAL "SPECIAL" PRICING AND BUY WITH CONFIDENCE WITH KNOWING ALL VEHICLES ARE PRICED ACCORDING TO MARKET WEEKLY. ALL TRADE INS ACCEPTED. Why buy from Birchwood Ford? Not only do we offer Market Value Pricing, but we have all of these added services and "extras:" - Provincial Safety Inspection - 172-point Inspection - Frame Inspection - Mechanical and Cosmetic Reconditioning - Lien Search - Vehicle History Report - Accident/Damage Report - Stole Vehicle Report - Available Extended Warranties - Relaxed "Low Pressure" Sales Experience - Free Trade-In Appraisals - Finance Pre-Approval Service - Free Credit Report Review and Counseling - On-Site Service Department - Available Vehicle Protection Products - Available Loan Protection Products - Chartered Bank Financing - Special Financing - Fresh Start Credit Recovery Program - Member of the Better Business Bureau - Member of the Used Car Dealers Association - Pet Friendly Facility Financing available with 100% guaranteed approval As additional value, the ESSENTIAL VEHICLE PROTECTION PACKAGE is available for purchase with all pre-owned vehicles, which includes: 3 Years- Roadside Assistance 3 Years – Key Replacement 3 Years- Tire Road Hazard Warranty 3 Years- Rim Hazard Warranty 3 Years- FREE Annual Tire Rotations 5 Years- Theft Protection with $5,000 Guarantee NO Trade-In Required! NO Money Down Needed! Call us at 204-296-8868 or go to WWW.BIRCHWOODFORD.CA to browse our inventory! Looking for the perfect Family SUV? Look No further than Birchwood Ford on Regent! Take Advantage of this local trade! 2018 Ford Edge SEL 3.5L V6 with All-Wheel-Drive. Back-up Camera, Parking Sensors Dual Exhaust Tips Power Heated Side Mirrors, Auto-dimming Rear-view Mirror, Tilt/Telescopic Steering Wheel, SYNC Voice Activated System, Dual Zone A/C, Cruise Control, Intelligent Access, MyKey, Remote Keyless Entry, Driver Knee Air-Bag, SOS Post Collision Alert System. Why buy from Birchwood Ford? Not only do we offer Market Value Pricing, but we have all of these added services and "extras:" - Provincial Safety Inspection - 172-point Inspection - Frame Inspection - Mechanical and Cosmetic Reconditioning - Lien Search - Vehicle History Report - Accident/Damage Report - Stole Vehicle Report - Available Extended Warranties - Relaxed "Low Pressure" Sales Experience - Free Trade-In Appraisals - Finance Pre-Approval Service - Free Credit Report Review and Counseling - On-Site Service Department - Available Vehicle Protection Products - Available Loan Protection Products - Chartered Bank Financing - Special Financing - Fresh Start Credit Recovery Program - Member of the Better Business Bureau - Member of the Used Car Dealers Association - Pet Friendly Facility Financing available with 100% guaranteed approval As additional value, the ESSENTIAL VEHICLE PROTECTION PACKAGE is available for purchase with all pre-owned vehicles, which includes: 3 Years- Roadside Assistance 3 Years – Key Replacement 3 Years- Tire Road Hazard Warranty 3 Years- Rim Hazard Warranty 3 Years- FREE Annual Tire Rotations 5 Years- Theft Protection with $5,000 Guarantee NO Trade-In Required! NO Money Down Needed! Call us at 204-296-8868 or go to WWW.BIRCHWOODFORD.CA to browse our inventory! Flex your way Into the Summer this year with your Nearly Brand-New AWD Ford Flex! 2018 Ford Flex Limited AWD, 3.5L V6. Remote Start/Stop, Rear Camera, Equipped with Appearance Package! 20" Machined Aluminum Rims, Black Roof, Cross Traffic Alert, Blind Stop Detection System, Sony Audio, Heated Seats, Power Passenger and driver Seat, Universal Garage Opener, SYNC Voice Active, Ambient Lighting, Dual Zone A/C Perimeter Alarm, Keyless Entry, Rain Sensing Wipers, Tinted Glass, Dual Power Heated Mirrors, H.I.D. Headlights, Fog Lights* Why buy from Birchwood Ford? Not only do we offer Market Value Pricing, but we have all of these added services and "extras:" - Provincial Safety Inspection - 172-point Inspection - Frame Inspection - Mechanical and Cosmetic Reconditioning - Lien Search - Vehicle History Report - Accident/Damage Report - Stole Vehicle Report - Available Extended Warranties - Relaxed "Low Pressure" Sales Experience - Free Trade-In Appraisals - Finance Pre-Approval Service - Free Credit Report Review and Counseling - On-Site Service Department - Available Vehicle Protection Products - Available Loan Protection Products - Chartered Bank Financing - Special Financing - Fresh Start Credit Recovery Program - Member of the Better Business Bureau - Member of the Used Car Dealers Association - Pet Friendly Facility Financing available with 100% guaranteed approval As additional value, the ESSENTIAL VEHICLE PROTECTION PACKAGE is available for purchase with all pre-owned vehicles, which includes: 3 Years- Roadside Assistance 3 Years – Key Replacement 3 Years- Tire Road Hazard Warranty 3 Years- Rim Hazard Warranty 3 Years- FREE Annual Tire Rotations 5 Years- Theft Protection with $5,000 Guarantee NO Trade-In Required! NO Money Down Needed! Call us at 204-296-8868 or go to WWW.BIRCHWOODFORD.CA to browse our inventory! Looking for an Affordable SUV for the Family? Live on the Edge and Come See us at 1300 Regent Ave West! 2013 Ford Edge Limited AWD 3.5L V6, 301A, Canadian Touring Package, Panoramic Sunroof, Voice Active Navigation, Leather Seats, Heated & Power Seats, Memory Drivers Seat, Drivers Entry Package, Rear Camera, Power Lift Gate, Vision Package, Blind Spot Detection, HID Headlights, Dual Power Memory & Heated Side Mirrors, SYNC Voice Active, Tinted Glass, MyFord Touch, A/C Dual Zone, Remote Keyless Entry, Cruise Control. Why buy from Birchwood Ford? Not only do we offer Market Value Pricing, but we have all of these added services and "extras:" - Provincial Safety Inspection - 172-point Inspection - Frame Inspection - Mechanical and Cosmetic Reconditioning - Lien Search - Vehicle History Report - Accident/Damage Report - Stole Vehicle Report - Available Extended Warranties - Relaxed "Low Pressure" Sales Experience - Free Trade-In Appraisals - Finance Pre-Approval Service - Free Credit Report Review and Counseling - On-Site Service Department - Available Vehicle Protection Products - Available Loan Protection Products - Chartered Bank Financing - Special Financing - Fresh Start Credit Recovery Program - Member of the Better Business Bureau - Member of the Used Car Dealers Association - Pet Friendly Facility Financing available with 100% guaranteed approval As additional value, the ESSENTIAL VEHICLE PROTECTION PACKAGE is available for purchase with all pre-owned vehicles, which includes: 3 Years- Roadside Assistance 3 Years – Key Replacement 3 Years- Tire Road Hazard Warranty 3 Years- Rim Hazard Warranty 3 Years- FREE Annual Tire Rotations 5 Years- Theft Protection with $5,000 Guarantee NO Trade-In Required! NO Money Down Needed! Call us at 204-296-8868 or go to WWW.BIRCHWOODFORD.CA to browse our inventory! Looking For Something Pre-owned and Don't Want To Sacrifice Quality? We 100% Understand. Take a Look at This Extremely Low Km Ford Eco Sport! An Absolute Must See If Considering a New SUV. 2018 Ford EcoSport SE 1.0L 4 Cyl! Equipped with Navigation System, Power MoonRoof, Auto Start and Stop, Rear Camera, Rear Parking Sensors, 8" Media Display, Hill Start, SYNC 3*, Automatic Temperature Control, Roof Rails, Active Grille Shutters, Ford MyKey, Remote Keyless Entry, SOS Post Collision Warning Why buy from Birchwood Ford? Not only do we offer Market Value Pricing, but we have all of these added services and "extras:" - Provincial Safety Inspection - 172-point Inspection - Frame Inspection - Mechanical and Cosmetic Reconditioning - Lien Search - Vehicle History Report - Accident/Damage Report - Stole Vehicle Report - Available Extended Warranties - Relaxed "Low Pressure" Sales Experience - Free Trade-In Appraisals - Finance Pre-Approval Service - Free Credit Report Review and Counseling - On-Site Service Department - Available Vehicle Protection Products - Available Loan Protection Products - Chartered Bank Financing - Special Financing - Fresh Start Credit Recovery Program - Member of the Better Business Bureau - Member of the Used Car Dealers Association - Pet Friendly Facility Financing available with 100% guaranteed approval As additional value, the ESSENTIAL VEHICLE PROTECTION PACKAGE is available for purchase with all pre-owned vehicles, which includes: 3 Years- Roadside Assistance 3 Years – Key Replacement 3 Years- Tire Road Hazard Warranty 3 Years- Rim Hazard Warranty 3 Years- FREE Annual Tire Rotations 5 Years- Theft Protection with $5,000 Guarantee NO Trade-In Required! NO Money Down Needed! Call us at 204-296-8868 or go to WWW.BIRCHWOODFORD.CA to browse our inventory! Perfect Student Car! Or For Anyone on a Budget But Doesn't Want to Sacrifice Quality! Come See Us At 1300 Ford On Regent Ave West and We'll Show How This is Possible! 2016 Ford Escape SE 4WD 1.6L EcoBoost, Equipped with Rear Camera, Remote Keyless Entry, SYNC Voice Active System, Battery Saver, Driver Knee Airbag, Fog Lamps, Dual Power Mirrors, Halogen Headlights, Tinted Windows, Rear Spoiler, Electric Power Steering, AM/FM/CD/Sirius. Why buy from Birchwood Ford? Not only do we offer Market Value Pricing, but we have all of these added services and "extras:" - Provincial Safety Inspection - 172-point Inspection - Frame Inspection - Mechanical and Cosmetic Reconditioning - Lien Search - Vehicle History Report - Accident/Damage Report - Stole Vehicle Report - Available Extended Warranties - Relaxed "Low Pressure" Sales Experience - Free Trade-In Appraisals - Finance Pre-Approval Service - Free Credit Report Review and Counseling - On-Site Service Department - Available Vehicle Protection Products - Available Loan Protection Products - Chartered Bank Financing - Special Financing - Fresh Start Credit Recovery Program - Member of the Better Business Bureau - Member of the Used Car Dealers Association - Pet Friendly Facility Financing available with 100% guaranteed approval As additional value, the ESSENTIAL VEHICLE PROTECTION PACKAGE is available for purchase with all pre-owned vehicles, which includes: 3 Years- Roadside Assistance 3 Years – Key Replacement 3 Years- Tire Road Hazard Warranty 3 Years- Rim Hazard Warranty 3 Years- FREE Annual Tire Rotations 5 Years- Theft Protection with $5,000 Guarantee NO Trade-In Required! NO Money Down Needed! Call us at 204-296-8868 or go to WWW.BIRCHWOODFORD.CA to browse our inventory!